One of the many reasons I love deer hunting is encountering and observing the various deer species that inhabit North America. 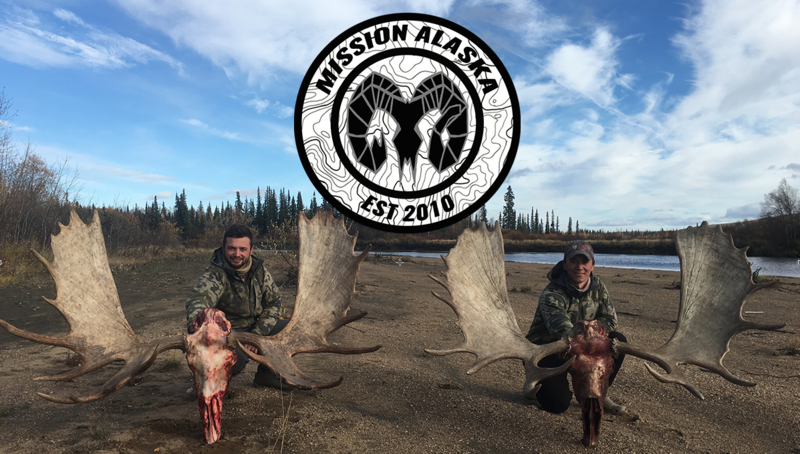 Each has specifically adapted to live in it’s respective environment and offers different hunting challenges. As I have traveled and moved across the country, I have had the chance to hunt whitetail and mule deer, but never the elusive blacktail. Ever since I moved to western Washington State, I wanted to hunt the blacktail deer, also known as, the “Ghost of the Coast”. These smaller deer species live secluded lives surrounded in the thick pacific northwest rainforest. They move like shadows through tangles of moss covered forrest amidst torrential rains. Hunting these “ghosts” will challenge any deer hunter unlike any whitetail or mule deer. During my 3 year quest to hunt blacktails, I have bushwhacked through thick rainforest and climbed cliffs on National Forrest to no avail. As any modern hunter, I am always on the lookout for private land to be allowed to hunt on. After reaching out to friends and family, Kristy’s mom knew someone who said we could hunt on her property on Whidbey Island, Washington. We connected with her and instantly became friends. She had no problem with us taking a deer and sees them all the time. Whidbey Island is 2 hours outside of Seattle, in the Puget Sound. The island is mostly rural and agricultural consisting of small farms, orchards, and large gardens. It is prime deer habitat with tons of blacktail deer. Almost every other day there is a car accident on the island and the state allows any deer to be taken during the season. The hardest part about hunting Whidbey is gaining access to land to hunt. There are a lot of people who live on the island that see the deer as pets, and don’t understand or want hunting. Due to the closer population density, there is a firearm restriction on Whidbey as well. It is bow and/or shotgun only. I have never hunted deer with a shotgun, but this was going to be my first hunt with buck shot. We went out one week before the season opened to scout the property and set up a game camera. We saw a lot of deer sign and set the camera up at the intersection of 2 well used deer trails. All that week the anticipation was building. I was anxious about using buck shot and wondering if I was going to wound the deer or ruin a lot of good meat. None the less, it was my only option and the hunt was on. I went out to sight in my shotgun and practice with the buckshot. The gun worked great, but I knew I was going to have to be within 40 yards for the buck shot to be effective. I just had to get close. While I was out practicing, I also harvested 2 pounds of Chanterelle mushrooms! I took it as a good omen for the blacktail harvest to come. With the gun sighted and the tags purchased, we loaded up the car and took the ferry to Whidbey Island. Deer Tag and Hunting Regulations for Washington State. When we checked the trail camera, we saw pictures of some does and one nice buck that had been moving through the area. We noticed that they were moving mostly in the evening and walking very close to the camera. While it is any deer on Whidbey Island, we wanted to go after the buck that we had seen pictures of. Blacktail buck on the the trail camera. We set up our chairs tucked away in the brush, right where the camera was. We sat that opening morning and didn’t see anything. We walked the woods that afternoon and saw tons more sign, but no deer. That evening we went out anticipating to have an encounter based off the time of our trail cam shots. All evening we sat, waiting and waiting, quickly loosing light and seeing nothing. Kristy asked if I could still see and I assured her I could, knowing we only had about 10 more minutes. Right after she asked that question the buck silently appeared out of the thick moss covered rainforest, no more than 5 yards away from us. I stealthily tried to get the safety off but he instantly saw me. With the blacktail buck staring down on us, we were locked in a stare down for 2 minutes. He eventually decided he didn’t like the situation and walked back into the jungle. My heart immediately sank as I thought it was over. Then, I saw him moving through the brush behind us and could tell he wasn’t spooked. He wanted to come back. I readied my gun and sure enough a minute later he came back. This time ready, he saw nothing as he inspected us over. He kept moving out but not presenting a good broad side shot. Then, at 15 yards, he turned and I immediately saw my opportunity. One shot and he was down. No running or kicking, he just quietly and quickly died right there. The buck shot performed. Kristy and I were shaking. Both of us had never had a deer encounter that close in the open, much less a buck, and an elusive blacktail! On top of that, it was a roller coaster of emotion as he saw us and left, but then came back again. It was an amazing experience that neither of us will ever forget. We field dressed him, loaded it up, and caught the late ferry home. The next day we processed the meat into steaks, burger and sausage. We vacuum sealed it and put it in the freezer for winter…after cooking up fresh venison inside tenderloin of course.